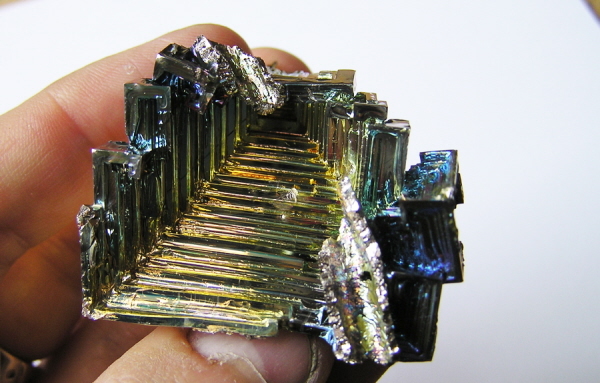 This is an absolutely gorgeous Bismuth Crystal. While laboratory grown - these are still natural objects, and they really are stunningly beautiful. If you want a talking point for a desk or window ledge this could be the one! 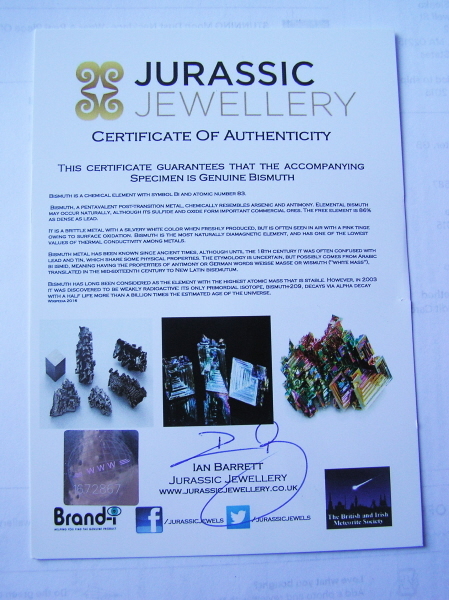 Bismuth is a native semi-metal element; however, it is rarely found in nature in its elemental form. The unique pseudocubic hopper crystals that are characteristic of laboratory Bismuth can be found in only the rarest natural Bismuth specimens. Pair these "stairstep" crystals with the natural iridescent metallic yellow, blue, magenta, purple, and green hues that are due to the natural tarnishing of the specimen, and you have a real attention-getter (especially for kids)!